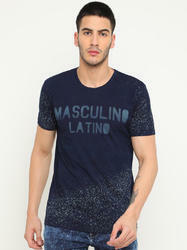 Our company offers an extensive range of optimum quality Men's Graphic T-Shirts to our valuable customers. 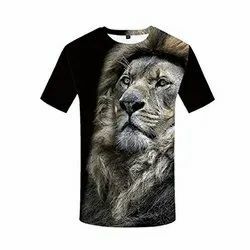 These t-shirts are precisely designed using latest weaving machines and in accordance with the prevailing market trends. Offered t-shirts are available with us in all the standards sizes, colors and patterns. Size: S-36" M-38" L-40" XL-42" 2XL-44"
- All products are applicable for return/replacement. Soft yet durable cotton, a modern classic fit, and a cleanly stacked Columbia® graphic treatment combine to make this Men's CSC Thrilling Descent Tee (Graphic T Shirt) an instant favourite for taking adventures as they come. Duryodhan - Head of the Kauravas. The stylish adidas Neo Dip Dyed Graphic tee for men. It's supreme Cotton crafting gives you added comfort and it comes in a Dip Dyed pattern with bold adidas Neo graphic on the front.